This is what I live for. At least from a career perspective. I seldom post entire letters from readers, but this one from Niki C. absolutely made my day. I have to share it with you. "Hi Holly! I've been reading your website for over a year now - check it every day and have turned countless friends to your site as well. I am a hurricane Katrina survivor and moved up to Pennsylvania after the storm - no flood zone - my husband and I bought our first home this past September. 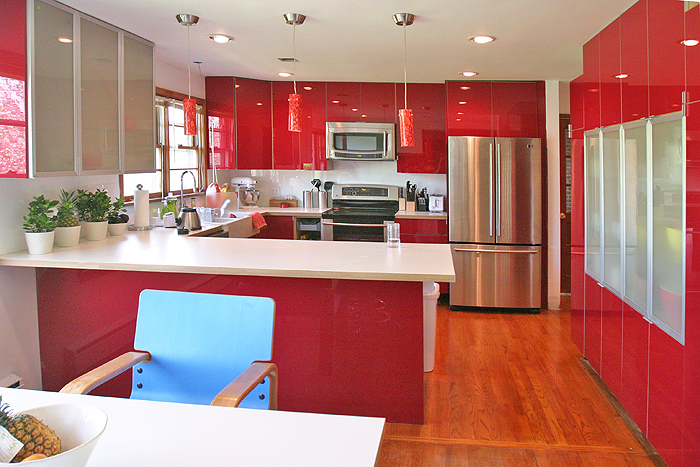 Your daily postings served as inspiration for me to decorate and design the way I like -- but not the bland suburban way that would guarantee a resale value (all that beige and stone color, blech!). 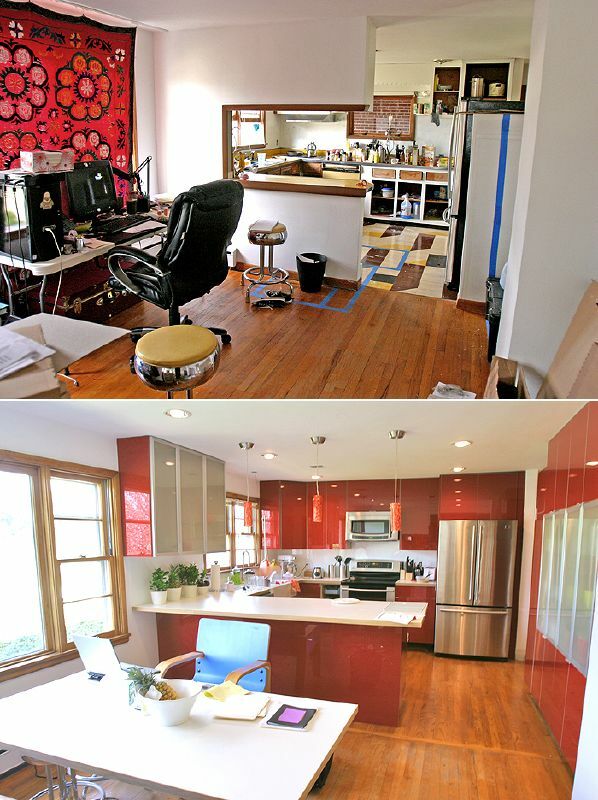 The first room we renovated was the tiny bathroom; we went with bright yellow and loved it so much that it gave us the confidence to take on the kitchen with boldness too. Thank you so much Niki, very impressive work that I'm sure everyone reading here today will enjoy. 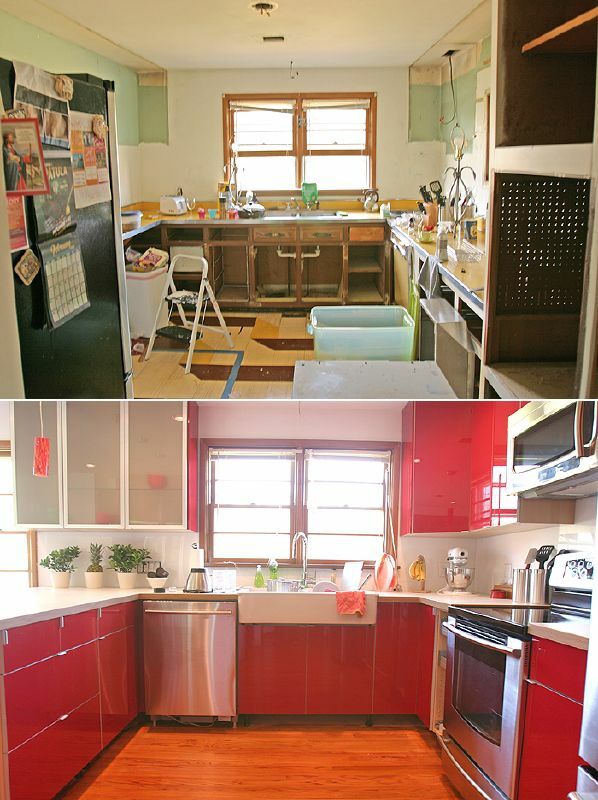 We all know how hard a DIY renovation can be, especially a kitchen, so we applaud your amazing transformation. 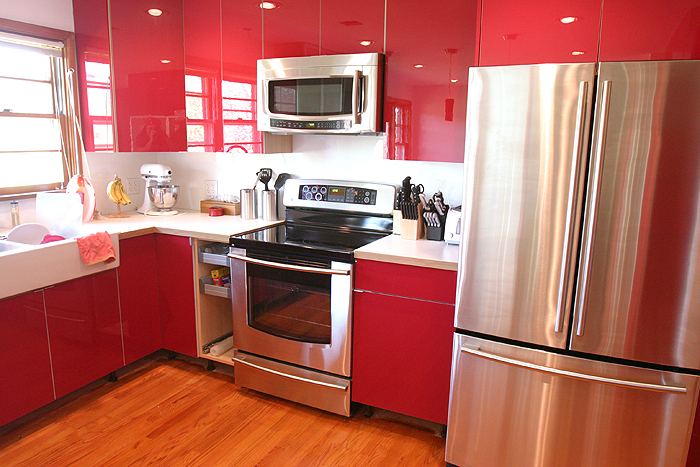 That candy apple kitchen is gorgeous, I would cook in there day and night! Readers, you can view all of her before and after photos here on flickr. Thank you for sharing it with us. For all the other design/creative bloggers out there that have long time lurkers (like Niki) reading YOUR blog, remember this: You may have no clue how your words are helping others to make positive changes. So stay with it. Keep sharing your voice. There's room for all of us.